Offer is not available if any account owner is a current Santander checking customer or has had a Santander checking account in the last 12 months prior to account opening. Offer cannot be combined with any other bonus offer. Eligible new account must be opened between 10/1/2018 – 12/31/2018. Bonus is considered interest and will be reported to the IRS on Form 1099-INT. For new checking account customers only. Eligible accounts include the following with these minimum opening deposit requirements: Simply Right® Checking ($25), Santander® Basic Checking ($25), Santander® Premier Plus Checking ($50), and Santander Select® Checking ($150). Santander considers direct deposits to be automatic electronic deposits made to your account by someone else, such as an employer issuing payroll or a government paying benefits. It may not include deposits to your account that are made by an individual using online banking or an internet payment provider. Easiest account to keep fee free is Simply Right Checking. 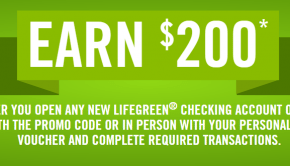 There is a $10 monthly fee that is waived when you make any financial transaction. Includes deposits, withdrawals, transfers or payments. Excludes fees, rebates or adjustments posted by Santander. For a long time the sign up bonus has been $225, the requirements are the same for this $300 bonus so this is just an extra $75. I definitely think this is worth doing if you live in one of the eligible states, it’s a shame that it’s not available nationwide anymore but again still worth doing if you live in an eligible state. I’ll be adding this to our best bank bonus page. Big thanks to reader, Bob Roberts who let us know. Learn how to find bonuses and contribute to the site here. Yes, with Firefox. When I try using Edge, that does not occur. I got this error due to an ad blocker (ublock origin). It did work on a “clean” (no extensions) chrome window. Ditto, told me to go to the branch. Opened it in incognito mode and it went thru. I just signed up for the $225 bonus. Any chance they will let me have this one instead? Sigh. I signed up on Saturday for the $225. I’m assuming they use the state your ID is from to determine your residence? My license is California, but I’ve still got some bills associated with my parents’ NJ address that I could produce. And to that end, would it make a difference if I went into a Santander while visiting my parents in NJ at the end of the month instead of just trying it online right now from California (while entering my parents’ address as my address)? I previously opened an account with my license from an ineligible state (was trying to avoid visiting DMV as long as possible) in branch with a utility bill showing my residency in an eligible state. Not sure if they’d request you to email/fax a bill with an online application, but I think opening an acct in NJ will be better rather than risking getting declined outright. I don’t have any utility bills associated with my parents’ address, just some credit card/bank accounts I could show statements for. Think that’ll be good enough? Banks typically ask for a utility bill from my experience, but I’d certainly give it a shot since you’ll be in the area anyway. Thanks. Had any success in the past ? Couldn’t say I just know they are very friendly. I just called, they won’t match it. So I tried funding with Ink business unlimited and chase put a fraud alert on it. They told me they have removed the fraud alert and I can go ahead and fund it but it will post as cash advance as its another financial institution. I am not sure how it will post but I just used a debit card to be on the safe side. Application went under review – we will let you know in couple of days. Any DP’s of them not enforcing “For new checking account customers only”? Any DP for how to qualify for direct deposit other than payrolls? Thank! Does anyone know if the direct deposit has to be in your name (I don’t even know if that is a thing or not)? For example, I already have a Santander account. Can my mom create one and have direct deposits from my job go into the account to get the bonus? Is it 12 months from last closed account or when the bonus posted? If your not getting any official payroll check or direct deposits to your account what’s an alternative method to fund the account? Serve? Transfer funds from one account to another? Qp? Google pay? I need to do 2k of spending for a $400 bonus. As well when mentioning early termination on top you wrote $25 and down below you wrote $0, im assuming the termination on the bottom is going after 90 days? I’m interested as well, not planning on doing a real DD. Thinking of bluebird and cap one 360. As noted below I opened an account with the $225 bonus a couple days ago. I called this morning and they said they are unable to apply the $300 bonus code. Good to know, that’s unfortunate. Thanks. Tried to apply last night but Chase Freedom or Marriott wouldn’t go through for initial funding. I tried too many times before I saw the fraud alert emails from Chase, so it won’t let me try again, says to “pick a different funding option” when “Credit Card” is the only option! Means I’m gonna have to call them and get them to release that lock, ugh. Same thing happened to me – apparently they cant just unlock it. You have to call them to get them to delete the old app and then you apply again. I am not sure if these apps usually go “Under review” or are instantly approved. My SO and my apps are under review since yesterday even though they debited my debit card for initial funding right away. Not sure how that works. We regret we cannot open your account and/or add your name as an owner/signer to an account with Santander Bank, N.A. We were unable to verify your identity or other personal information at this time. Please visit a Branch to complete your application. So of course my credit reports are frozen, but they shouldn’t be checking that anyways. I am not sure what happened here. Edit: My bad – I misread the original post. I guess they do soft pulls. I am not sure if its possible to unfreeze and ask them to look again. I expect mine to be declined as well for the same reason. So they opened my account with credit reports frozen – so my that theory doesnt hold as to why my SO’s account was rejected. Maybe time to call them and ask what happened. Did you find out the reason? I got the same response that my application was declined because they couldn’t verify my information. No haven’t been able to call them as they are only open till 6pm. I have a feeling it’s got something to do with my wife’s profile because couple of times i have tried opening pnc account for her it says the same thing – they can’t verify her identity and to go into branch. It doesn’t say that for me. Need to figure this out. hi VM, I’m getting the same problem. Did you ever figure out the issue? Thanks! Sorry for the delay – dont think this will help you but might help someone else in the future. They wanted her to go in branch to verify her identity and apply there. I said no and closed the application. I also got stuck at the initial funding page after my card did not work. I called Santander and CSR said just start over with a brand new application with a different username. I did just this (within 10 minutes of the original app that got stuck at initial funding), following her advice, and got instant approval after funding with a debit card instead. Since the terms don’t say you need to keep a particular balance and the DDs just need to add up to $1K, can you just cycle money in and out to hit DD requirement? Don’t see why not, that’s what I plan to do if I can get acct opened. Transfers even count as a transaction to avoid the monthly fee, this is one of the easiest bonuses you will ever get, $1k DD and nothing else. Opened this morning. Tried funding for $500 w/ Chase Ink Unlimited but wouldn’t take. Lowered cash advance down to $100 yesterday via SM. assuming that’s why it wouldn’t take as it was trying to be processed as a CA. just used bank account debit card to fund $25.00. I still have a NJ license recently moved to NC and just used my parents address. Didn’t allow me to enter more that $99.99. When I entered $100, it took it as $1.00. Is there any way to verify the promotion was applied to the account? I applied online and was approved immediately but couldn’t find any confirmation for the promo. I just applied and tried to fund using my Chase Freedom Unlimited. I could not fund with my cc and had to use a debit card instead.